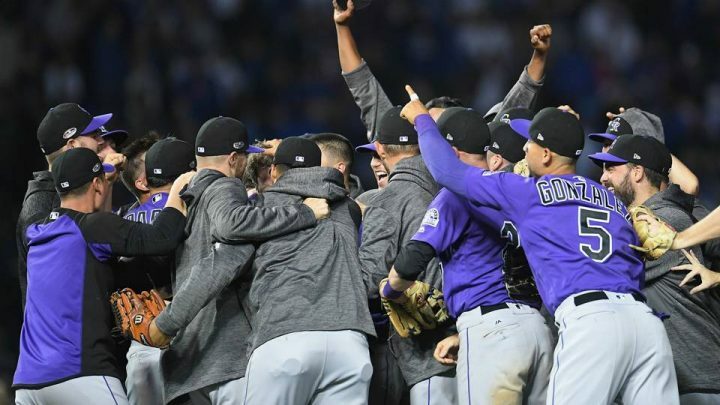 The MLB playoffs officially kicked off Tuesday night as the Colorado Rockies outlasted the Chicago Cubs in Wrigley Field 2-1. Rockies’ young ace Kyle Freeland pitched 6 ⅔ shutout innings while striking six Cubs. He dominated the Cubs’ lineup on just three days rest. The opposing starter for the Cubs, Jon Lester, also pitched an outstanding game, striking out nine in just six frames of work with the only run given up on the first out of the ball game. 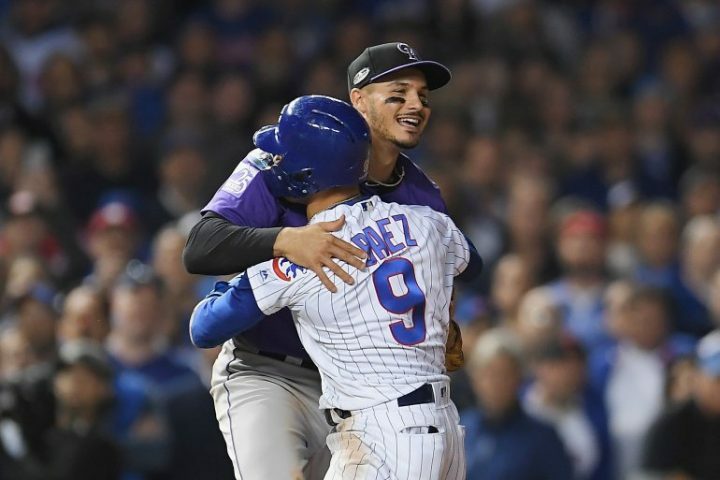 The Rockies held on to a one-run lead throughout 7⅔ innings until Cubs MVP candidate Javier Baez doubled in the game-tying run. From there on, it was a battle of the bullpens. The Cubbies used the majority of their arsenal in the ‘pen with eight different relievers making an appearance in the game. Finally in the 13th inning, Colorado’s backup catcher Tony Wolters drove in the go-ahead run off of usual starting pitcher Kyle Hendricks. In back-to-back games, consecutive days, the opposing team in Wrigley celebrates in front of the devastated Chicago fans. Colorado will face off against the team that beat the Cubs for the NL Central division, Milwaukee Brewers, this Thursday in the NLDS. Unlike the NLWCS game, the home team took control early and held onto it. 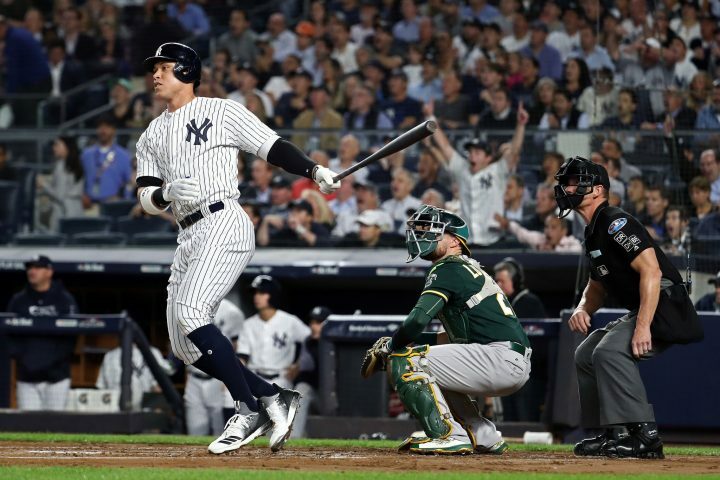 The New York Yankees cruised past the Cinderella team in baseball, Oakland Athletics, with a score of 7-2. The Yankees have won two straight wild card games, but the tale of the two games were a bit different. The Yanks’ ace Luis Severino started in both games but couldn’t get out of the first inning against the Minnesota Twins, allowing four hits and three runs while recording one out. However, it was a new year for Severino. He threw four shutout innings and allowed his first hit in his last inning of work in the fifth. He handed the game off to one of the most dominant bullpens in baseball. But this game wasn’t just about the pitching. New York’s offense jumped on the Athletics’ starting bullpen tactic with an Aaron Judge two-run home run in the first. They piled on four more runs in the sixth behind a Luke Voit triple that pushed two runs across. Giancarlo Stanton drove the dagger deeper in Oakland with a solo shot in the eighth. The Yankees will on and face their bitter rivals in the Boston Red Sox in a five-game series starting Friday. Check out the TV broadcast listings for the rest of the 2018 MLB Playoffs, and make sure to come back to BUNow for more updates on the postseason and more.